Bauer, CCM, Easton, and Sherwood from skates to sticks to protective equipment and helmets. Come try on a pair of skates downstairs in our "Hockey Room". 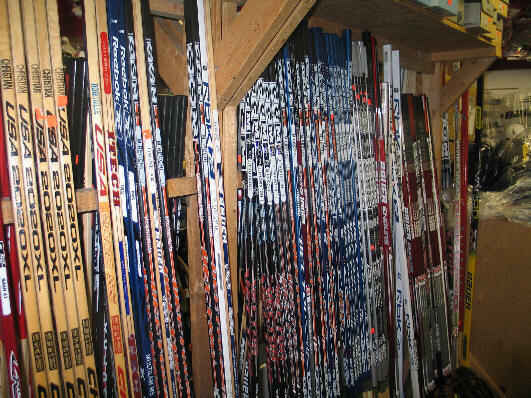 We also sell CCM and Jackson figure skates ranging from $49.95 to $129.95 depending on the quality of skate you want. 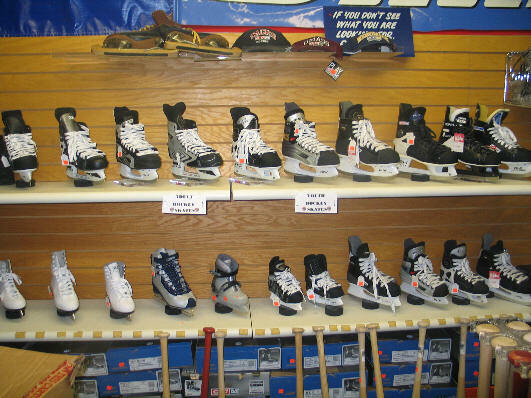 We also have used skates (hockey and figure), they are $25 unless on consignment, come check it out and get a good deal on a pair of used skates.